It’s been almost a hundred years since warlock meddling freed the demons from their underground domain. Their eventual capture has encased them in large stones across all the lands. They became known as the demon stones. Over time, the truth of their imprisonment devolved into legend and tales to frighten children. Now, the seven kingdoms are in upheaval. 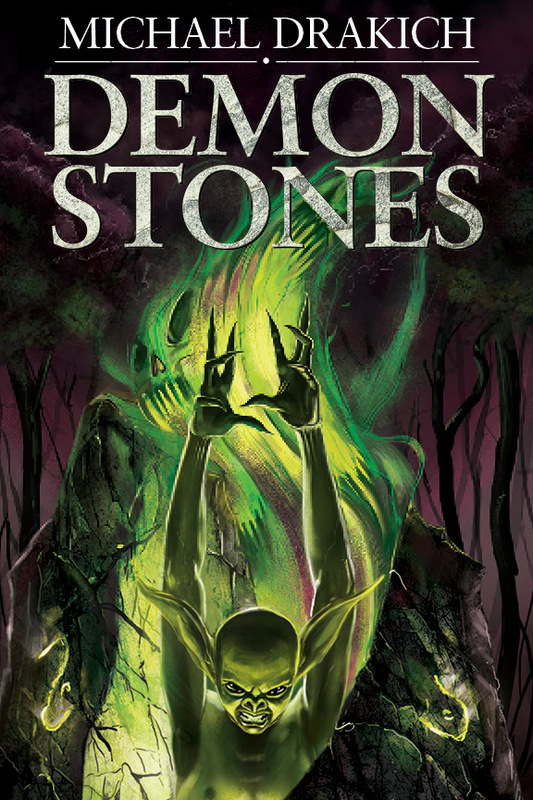 The demon stones are being opened and the vile creatures once more roam the land. War has broken open between realms as the fingers of accusation are pointed. Caught in the middle is Gar Murdach, a farm boy who recently passed the age of ascension of sixteen marking him as a man, and his younger sister, Darlee, as they both struggle in their separate ways to escape the horrors wrought by the demons and the war that swarms round them. which is well-written and easy to follow. Well done, Mr. Drakich! CLICK THIS LINK TO AMAZON TO BUY YOUR COPY TODAY! CLICK THIS LINK TO BARNES & NOBLE TO BUY YOUR COPY TODAY! Why am I working so hard on my writing skills? The top authors defy the reasons. Why do writers have characters do things to themselves?